I looked around the web and found the Black Dimond Mondo Chalk Pot pretty cheap on amazon. So I decided to order one. When it arrived I was surprised to find it smaller than I expected. Compared to other chalk buckets I have seen around the gym (Specifically the Organic Lunch Bag which seems much larger). 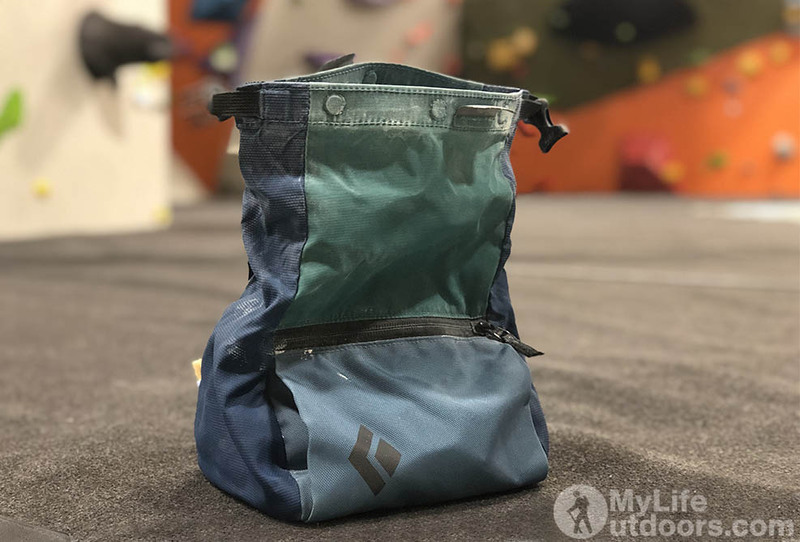 Honestly after carrying the Mondo Chalk Pot to all my bouldering sessions for the last year, I can’t imagine needing anything larger. It carries a ton of chalk. I dumped a full 300g bag of Black Dimond White Gold in it and it could still hold more. Even better than that its very compact when rolled up. 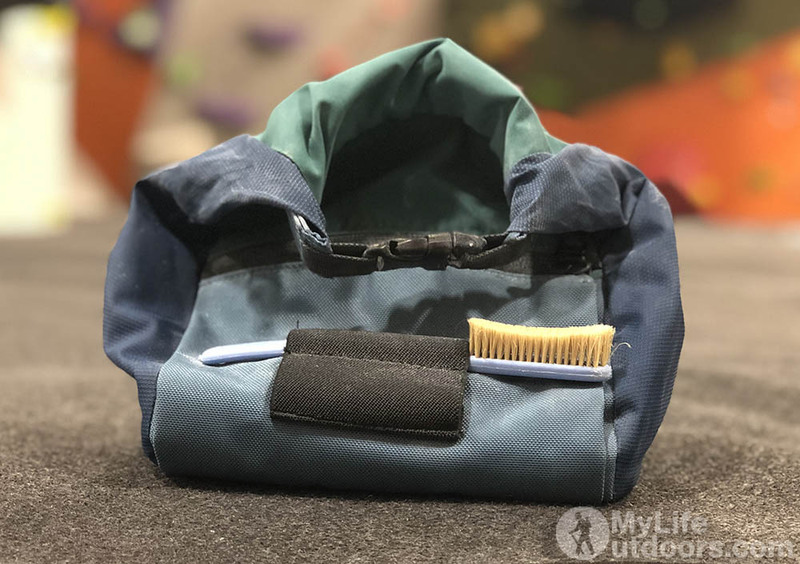 Not much bigger than a standard belt chalk bag. 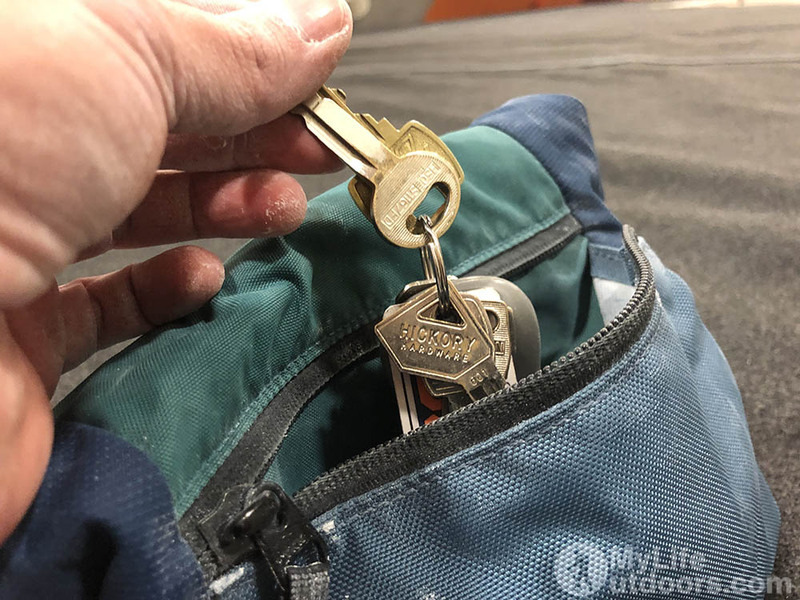 I can cram it in my gym bag with my harness, shoes and other gear without it taking up a ton of room. The Mondo features a magnetic closure as well as a roll top seal. The magnets allow you to chalk up and then forget about the bag without dealing with a mess of chalk on the ground. Most of the time I chalk up and then just drop the bag. The magnets close up before it hits the ground keeping chalk in the bag. The entire time I have owned this bag I have never had a spill. (Partly due to the magnetic closure, partly the stability of the bag) When you are done for the day roll up the top and shove it in your bag. The roll top seal keeps chalk in the Mondo and out of your gym bag. 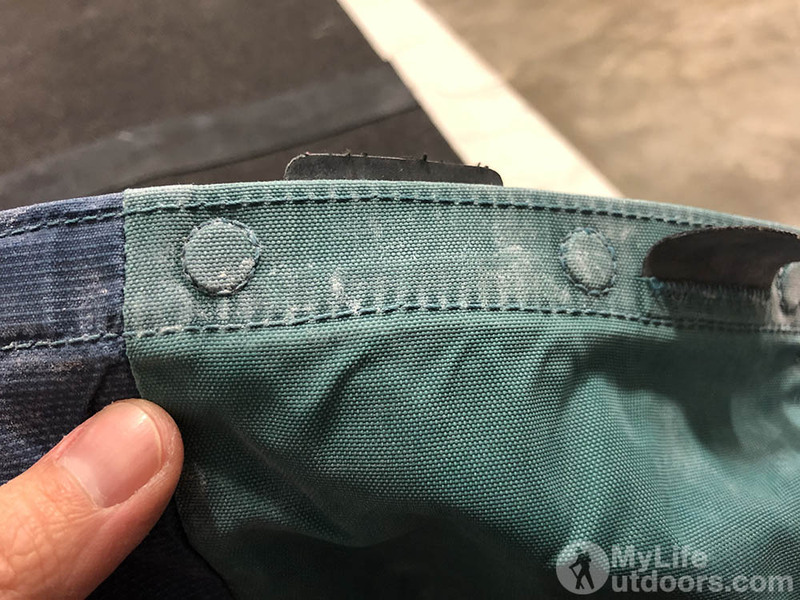 There are two large zippered pockets on either side of the Mondo. The pocket is just large enough to accommodate my iPhone X even with a large otter box case. But there isn’t much wiggle room. 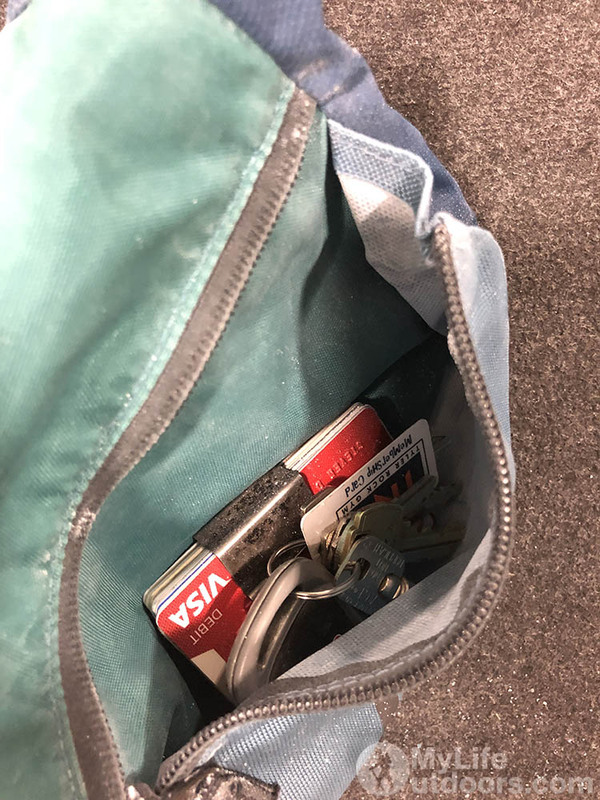 The other pocket easily accommodates keys and a wallet. 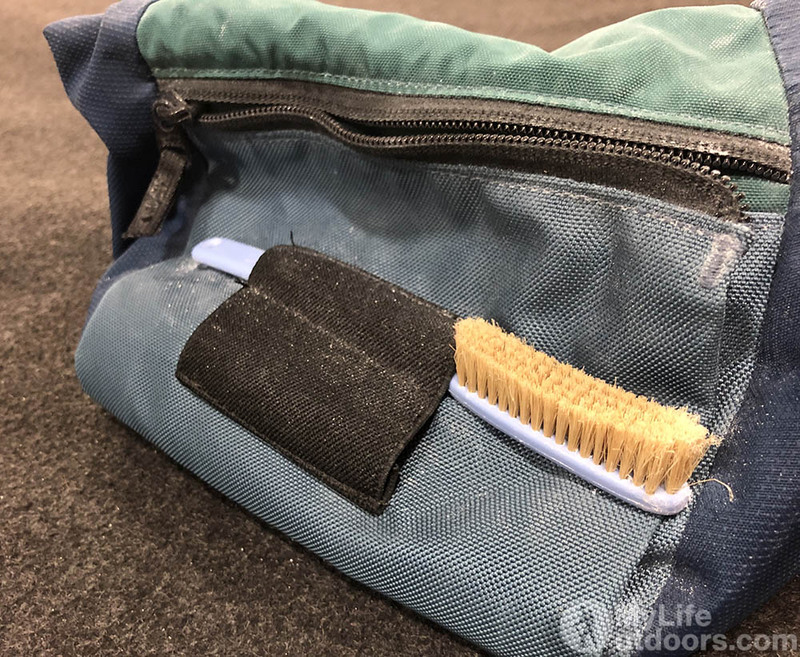 There are two brush sleeves that can accommodate large or small brushes. The inside of the Mondo is fleece lined. It comes in two colors: “repo” and assorted. The assorted colors are supposed to be built from repurposed fabric scraps like Organic bags…but every Mondo I have ever seen in person is the exact same color as mine. 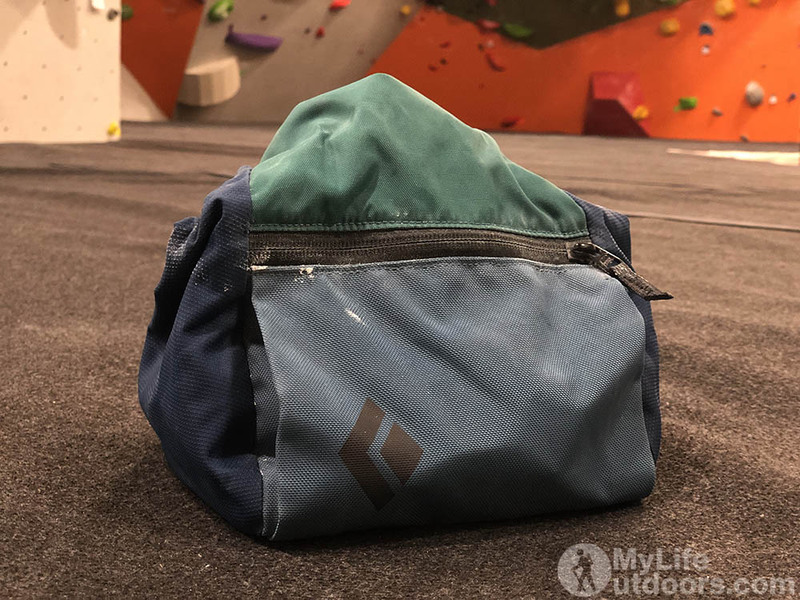 All and all a great chalk bag I love using. Disclaimer: I bought this chalk bag with my own money. I have received no compensation for this review. These are my own honest opinions.